Despite the fact that Apple has taken new waterproof measures to its newly-released iPhone SE, as it did to iPhone 6s and 6s Plus, Apple has not officially announced its iPhone has total water resistance. That means if you mistakenly drop your iPhone into the washbasin, the bidet or even worse the toilet, your device will suffer water damage. Then what should you do to fix water-damaged iPhone? Get your iPhone out of the water immediately. No matter how quickly you take it out of the water, do not try to use it. Dry it with an absorbent bowel or tissues to remove the accessible water from its ports. Give your phone a gentle shake to further remove water from those nooks and crannies, which may avoid severe damage to key iPhone components. Next step to fix water damaged iPhone is to power it off and remove the SIM card, case and other accessories. Do not try to power it up and check if it still works, otherwise it may lead to short circuits. Just leaving it alone could be a better option. 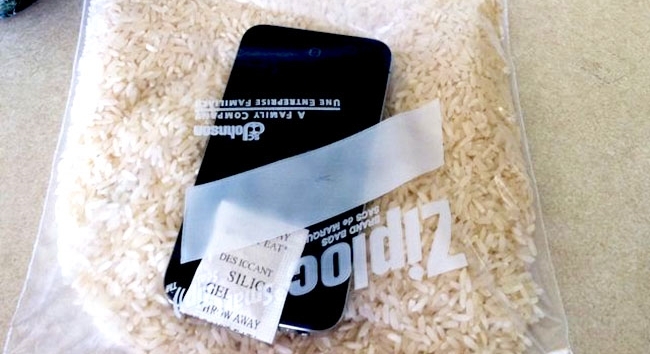 Grab a ziplock bag which is filled with enough uncooked rice to get moisture out of your iPhone interior. Make your damp phone completely surrounded by rice and leave it alone for 2 days or so. It is tested that the rice will absorb the moisture from your soaked iPhone. Of course, if you have silica gel sachets on hand, it would be a better option than uncooked rice to fix iPhone water damage. Most iPhones are equipped with a liquid contact indicator dot in the bottom of the headphone jack, and this dot will appear pink or red when the phone gets water damaged. iPhone may survive after a timely rescue in some cases. While if your phone really suffers damage and you do not want to repair iPhone water damage, you can directly exchange your water-soaked phone for an Apple Store gift card. This gift card can be used to buy a new Apple device or accessory. 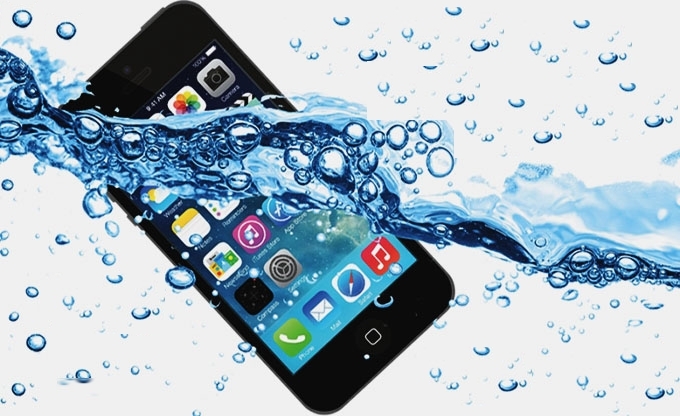 It is likely that you will get your iPhone wet, which may result in information loss or a damaged phone. In most cases, it is not the phone itself that matters, but the information stored on the device, such as contacts, documents, photos or videos. Before you begin to fix iPhone water damage, a better choice is to regularly transfer iPhone files to PC or another phone for backup. It may do you a big favor to have a good knowledge of the following two tools. 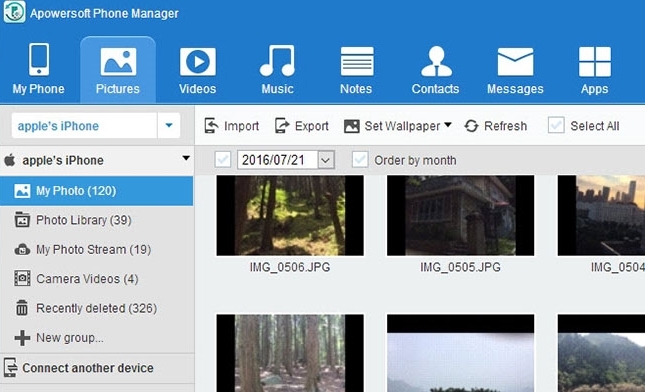 Apowersoft Phone Manager is very useful iPhone management software which helps you to manage, transfer, backup different iPhone files such as text messages, contacts, applications, music, videos, etc. easily on PC. With this program, you can easily transfer files from iPhone to PC or vice versa. After you manage to repair iPhone water damage, you can retrieve your files from backup with ease. 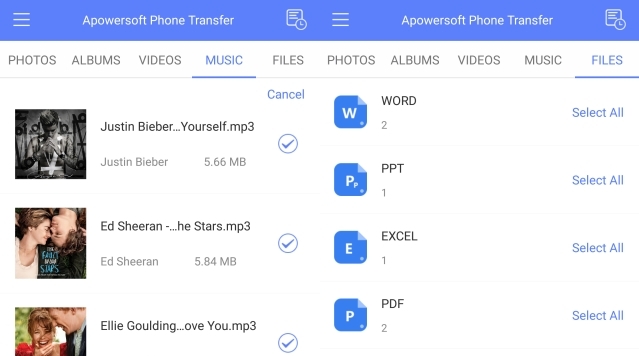 If you have two or more phones on hand, Apowersoft Phone Transfer will be another good option, as it can switch information between iOS and Android phones seamlessly. It would be rather easy to transfer files from one phone to another with this phone transfer. how can I dry out my iphone 6plus , how do I do it put in rice an if how long do I do it for ?